Monday blues? How about Starbucks Monday Green instead? 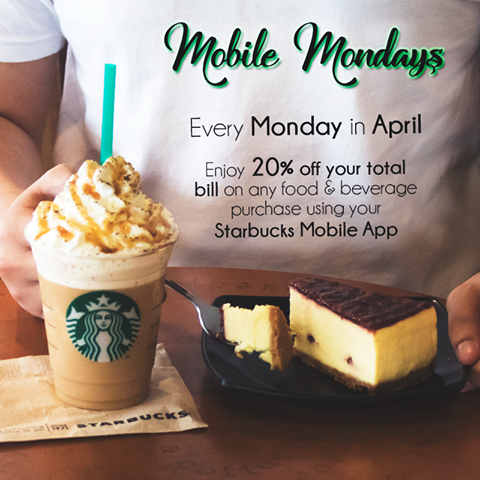 Enjoy 20% off your total bill of food or beverages when you use your Mobile App every Monday. We’re looking forward to Monday. Promotion Period: Every Monday in April 2017. Venue: All Starbucks outlets in Malaysia. Applicable every Monday in April. All purchases must be made with Starbucks Mobile App.